2018 TRACKER® PRO TEAM™ 195 TXW 40th Anniv. PRO TEAM™ 195 TXW 40th Anniv. The Boat for Summer Sales Event is going on now. Get a $1,000 gift card and $200 in gear—FREE!—with your purchase of a new 2019 or prior model year PRO TEAM™ 195 TXW 40th Anniversary/Tournament Edition. Hurry! This offer is only available for a limited time. See dealer for details. 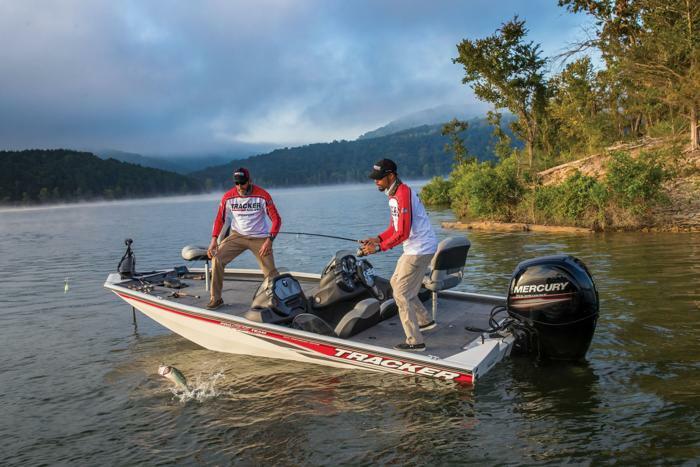 The TRACKER® PRO TEAM™ 195 TXW 40th Anniversary Edition includes a package of premium upgrades to help you compete and win, including 2 Lowrance® HOOK-5 color fishfinders, a more powerful trolling motor, an extra battery, an upgraded charger and a trailer spare tire and bow step with grab handle. It’s based in the 195 TXW—the biggest, most powerful all-welded Mod V boat we've ever built. At 18' 7" long and a generous 8’ 2" beam, it's as smooth and stable as an aluminum bass boat can be. It's also loaded with storage compartments for all your tournament gear, including a center rod locker for 12 rods up to 8' long. 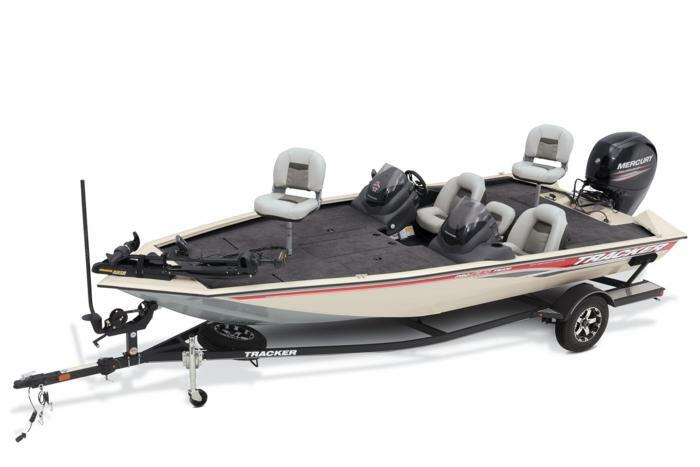 It comes standard with a 150HP Mercury® outboard and features our Revolution™ Mod V hull with Smooth Ride Guarantee. And it’s backed by the TRACKER Promise—the best factory warranty in aluminum boats.